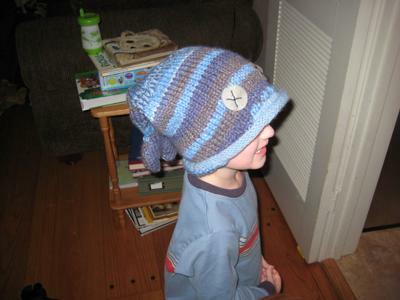 I knit this up for my son who needed a "boy hat" this winter. 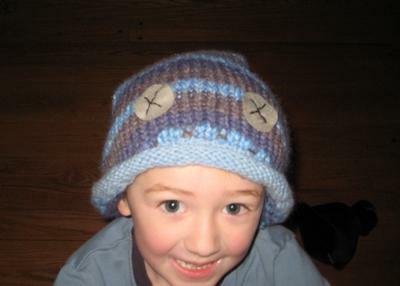 I used up scraps of wool and wool blends that I had on hand. 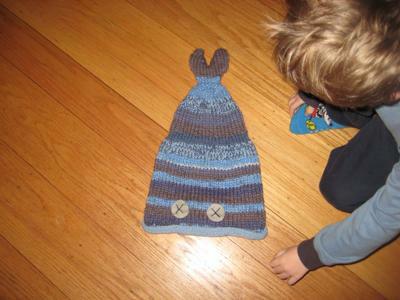 Great way to use up scraps or self-striping yarns! Started on smaller needles and graduated to larger needles to accommodate the yarn I had. I saw a similar idea online and thought it was a fun idea. No real problems...the final fit was looser than I had hoped for but worked out to pull over my munchkin's ears.